Awards: GCB (1887 (civil) and 1921 (military)), GCVO (1901), KCMG (1905), PC (1914), KCB (1884 (civil) and 1909 (military)), GCCS (1906), GCLA (1908), GCFJ (1877), GCLH, GCRE, GCTE, GCCP, GCRG, GCCW, GCSE, GCRS, KAR, KAN, KWE, KSAR, etc. Louis Alexander Mountbatten, 1st Marquess of Milford Haven, GCB, GCVO, KCMG, PC (24 May 1854 - 11 September 1921), formerly Prince Louis Alexander of Battenberg, was a German prince related to the British Royal Family. After a career in the United Kingdom's Royal Navy lasting over forty years, in 1912 he was appointed First Sea Lord, the professional head of the naval service. He took steps to ready the British fleet for combat as World War I began, but his background as a German prince forced his retirement at the start of the war when anti-German feeling was running high. Queen Victoria and her son Edward VII, when Prince of Wales, occasionally intervened in his career-the Queen thought that there was "a belief that the Admiralty are afraid of promoting Officers who are Princes on account of the radical attacks of low papers and scurrilous ones". However, Louis welcomed battle assignments that provided opportunities for him to acquire the skills of war and to demonstrate to his superiors that he was serious about his naval career. Posts on royal yachts and tours arranged by the Queen and Edward actually impeded his progress, as his promotions were perceived as royal favours rather than deserved. He married a granddaughter of Queen Victoria, and was the father of Admiral of the Fleet Louis Mountbatten, 1st Earl Mountbatten of Burma, who also served as First Sea Lord from 1954 to 1959. Prince Philip, Duke of Edinburgh, consort of Queen Elizabeth II, is his grandson. 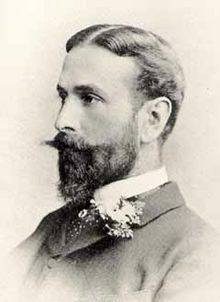 Louis was born in Graz, Austria, the eldest son of Prince Alexander of Hesse and by Rhine by his morganatic marriage to Countess Julia von Hauke. Denied his father's dynastic rights and rank in Hesse, from birth he acquired the style of His Illustrious Highness and the title of count conferred upon his mother at the time of her marriage. On 26 December 1858, he automatically became His Serene Highness Prince Louis of Battenberg when his mother was elevated to Princess of Battenberg with the style of Serene Highness by decree of her husband's brother, Louis III, Grand Duke of Hesse. Shortly after Louis's birth, his father was stationed with the Austro-Hungarian Army of occupation in Northern Italy during the Second Italian War of Independence, and Louis's early years were spent either there or at Prince Alexander's two houses in Hesse, the castle of Heiligenberg in Jugenheim and the Alexander Palace in Darmstadt. His mother spoke French to him but he had an English governess, and as a consequence grew up trilingual. Amongst the visitors entertained at Heiligenberg were Prince Alexander's relations, the Russian Imperial family, and his cousin, Prince Louis of Hesse. Influenced by his cousin's wife, Princess Alice, a daughter of Queen Victoria, and by Prince Alfred, another of Queen Victoria's children, Battenberg joined the Royal Navy on 3 October 1868 and thus became a naturalised British subject, at the age of fourteen. He failed the routine medical examination by Dr Buckle, of HMS Britannia, and subsequently two other medical officers also rejected him. He was therefore admitted by the Board of Admiralty of the day without the production of the medical certificate, which was contrary to the usual regulation. He was enlisted as a naval cadet aboard HMS Victory, Nelson's old flagship. In January of the following year, the Prince and Princess of Wales cruised the Mediterranean and Black Seas in the frigate HMS Ariadne, and the Prince of Wales requested that Louis be appointed to the vessel, before his training was complete. As part of the same tour, Louis also accompanied them on a visit to Egypt, where they visited the construction site of the Suez canal. As was traditional, the Khedive bestowed honours on the party and Louis received the Medjidie (Fourth Class). In April, he received the Osmanie (Fourth Class) from the Ottoman Sultan. Louis returned to Britain in May 1869. In June he joined HMS Royal Alfred, the flagship of the North America and West Indies station, becoming a midshipman in October. From June to September 1870 he took leave in Germany, coinciding with the Franco-Prussian war, but he spent the next three-and-a-half years in the Americas, where his tour of duty served to make up for the training he had missed while posted with the Prince of Wales on the Ariadne. Returning to Europe in early 1874, he was posted to the shore establishment HMS Excellent, and passed the Sub-Lieutenant's examinations-gaining the best marks ever recorded at seamanship and joint best-ever at gunnery. In 1875, again at the invitation of the Prince of Wales, he joined HMS Serapis, which conducted the Prince on an official tour of India, 1875-76. Louis sketched some of the events of the tour and his drawings were published in the Illustrated London News. The Prince asked Louis to stay with him at Marlborough House for the summer of 1876, but wishing to gain further experience at sea, Louis instead accepted an offer to join Prince Alfred, Duke of Edinburgh, as a lieutenant onboard HMS Sultan. In addition to acting as the Duke's equerry, Louis continued his naval duties. He did not enjoy the position, as the Duke was rather touchy and Louis's cabin was infested with rats, one of which he caught with his bare hands as it ran across his chest as he lay in bed. The Sultan toured the Mediterranean from July 1876. In late February-early March 1878, Louis was still serving on the Sultan as it lay in the Bosphorus during the Russo-Turkish war. He was criticized for visiting his brother, Prince Alexander, who was serving with the Russian forces, but an investigation cleared both Louis and Alexander, as well as Prince Alfred, of any wrongdoing. For the next two years Louis served on HMS Agincourt and on the Royal Yacht, HMY Osborne, but in October 1879 he refused further service on the Royal Yacht, saying it was damaging his professional career, and requested half-pay until he could be given an active duty. On 17 February 1880 he, his father and Tsar Alexander II witnessed an explosion at the Winter Palace when Stephen Chalturin unsuccessfully attempted to assassinate the Tsar with dynamite beneath the great dining room. 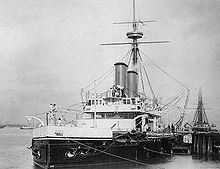 On 24 August 1880, Louis was posted to HMS Inconstant, the flagship of the Flying Squadron, which included HMS Bacchante on which Princes Albert Victor and George were serving. The ship sailed to South America, South Africa, Australia, Fiji, Japan, China, Hong Kong, Singapore and the Dutch East Indies, before returning to South Africa in April 1882. Seven months after Louis left Britain on the voyage, actress Lillie Langtry allegedly bore him an illegitimate daughter, Jeanne Marie. Langtry was also a one-time mistress of the Prince of Wales. Jeanne Marie's parentage was never completely verified, but Louis made a financial settlement nonetheless. From South Africa the Inconstant sailed to St Helena, and the Cape Verde Islands, where the squadron received orders to proceed to Gibraltar, and from there to Malta and Egypt to take part in the Egyptian intervention. On 11 July 1882, Alexandria was bombarded and in the next two weeks Louis served in the Flying Squadron delivering shells and ammunition to the battle fleet, and then as a guard to the Khedive at Ras Al Teen Palace. He was decorated with the Egypt War Medal by Queen Victoria personally. In November 1882, he left the Inconstant, spent Christmas in Darmstadt, and in March the following year visited his younger brother, Prince Alexander, in Bulgaria. Alexander had been made Sovereign Prince of Bulgaria in 1879 with the approval of Europe's Great Powers. Louis accompanied his brother on a state visit to Turkey, and then on a tour of Cyprus and the Holy Land with the Turkish navy, during which Louis was appalled at the lack of seamanship-the Turkish captains were unable to navigate and had to hug the coast so as not to get lost; when they did leave the coast they became so disoriented that they were unable to steer for Jaffa. On its return journey the ship on which they had travelled ran aground. In September 1883, Queen Victoria appointed him to her yacht, HMY Victoria and Albert. On 30 April 1884 in the presence of the Queen, Prince Louis married her granddaughter, Princess Victoria of Hesse and by Rhine at Darmstadt. His wife was the eldest daughter of Queen Victoria's second daughter Princess Alice by Louis IV, Grand Duke of Hesse. Through the Hesse family, Prince and Princess Louis of Battenberg were first cousins once removed. They had known each other since childhood, and invariably spoke English to each other. As wedding presents Louis received the British Order of the Bath and the Star and Chain of the Hessian Order of Louis. 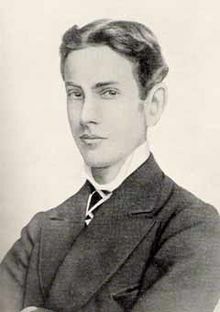 One of Louis's younger brothers, Prince Henry of Battenberg, married Princess Beatrice, the youngest child of Queen Victoria, and took up residence with the Queen in Britain so that Beatrice could continue to serve as her mother's companion and private secretary. On his penultimate day aboard the Queen's yacht, 30 August 1885, Louis was promoted to commander. The next four years were spent in the shore establishments HMS Excellent and HMS Vernon on half-pay, on HMS Cambridge, very briefly at Milford Haven in August 1886, and onboard HMS Dreadnought in the Mediterranean. Irish nationalist MP Willie Redmond and Liberal MP Charles Conybeare both questioned Battenberg's appointment to Dreadnought in the British House of Commons, asking "what special qualifications have entitled a foreigner to be promoted over the heads of some 30 British officers?" The First Lord of the Admiralty, Lord George Hamilton said "Captain Stephenson, who commands the Dreadnought, applied for Prince Louis of Battenberg to fill the appointment. I may add that another officer who is about to command a large iron-clad in the Mediterranean has made a similar application." He added that 22 commanders junior to Battenberg held similar appointments. In reply to further questions by Conybeare, the First Lord said that Battenberg became naturalized British subject in 1868. Another Liberal MP, Edward Pickersgill, backed up by two other MPs Dr Charles Tanner and Charles Conybeare, questioned the propriety of Battenberg's appointment to the Navy in 1868, given Battenberg's failure to get the required medical certificate, and suggested that he only got in the Navy because of royal favour. On 3 October 1889, Battenberg was appointed to his first independent command, HMS Scout, a torpedo-cruiser, which saw service in the Red Sea. On 31 December 1891, Prince Louis was promoted to the rank of captain and became an aide-de-camp to the Queen, a post he would retain under both King Edward VII and King George V. At the beginning of the following year, he was appointed naval advisor to the inspector-general of fortifications. His role was to act as a liaison between the navy and the army in order to ensure a co-ordinated defence. Traditionally, there was a great deal of friction between the two services, but Louis exercised his social skills in the role, leading Prince George, Duke of Cambridge, to write to him, "You have produced a mutual feeling of goodwill and unanimity which I have always wished to see established, and which, by your tact and sound judgement, you have brought about to the fullest extent." In 1892, Battenberg invented the Battenberg Course Indicator, a relative velocity analogue computer device used by seamen to determine course and speed to steer for changes of position between ships and which remains in use today. By February 1894 his role was further developed when he was appointed joint secretary of the naval and military committee on defence, which was later renamed the Committee of Imperial Defence. Louis captained HMS Cambrian in the Mediterranean Fleet from October 1894 to May 1897 and HMS Majestic in the Channel Fleet from June 1897. His careful study of both naval and military defence, as well as its interaction, led to his appointment as Assistant Director of the Naval Intelligence Division in June 1899. He used his relationships with the royal houses of Europe to gather intelligence on the naval fleets of other nations, which he passed onto the Admiralty in full and detailed reports. 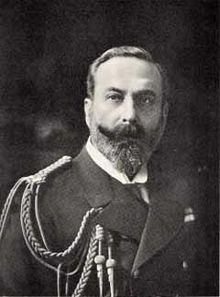 After a year as captain of HMS Implacable in the Mediterranean, during which he spectacularly defeated a larger opposing force during naval exercises, Louis was appointed as Director of Naval Intelligence in November 1902, an apt posting for a man that First Lord of the Admiralty the Earl of Selborne described as "the cleverest sailor I have met yet". 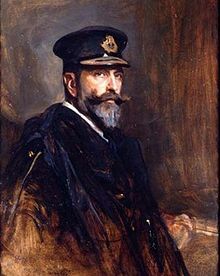 He was promoted to rear-admiral on 1 July 1904, in which year his family connections to the royal courts of Europe helped resolve the Dogger Bank incident peacefully. The following February, he was given command of the second cruiser squadron, with HMS Drake as his flagship. During a successful two years the squadron visited Greece, Portugal, Canada, and the United States, where the American press commented favourably on Prince Louis's courtesy, unassuming manner and democratic nature. After two years at the head of the second cruiser squadron, and further visits to Spain (where his niece Victoria Eugenie of Battenberg was Queen), he was appointed second-in-command of the Mediterranean Fleet as acting vice-admiral with HMS Venerable as his flagship. After less than six months in post his flag was transferred to the battleship Prince of Wales in August 1907. The following year, he was promoted to vice-admiral, and appointed as Commander-in-Chief, Atlantic Fleet. As an admiral, Battenberg "was more cerebral than the average, although somewhat lazy. The [fleet] exercises had a greater sense of realism, reflecting the latest thinking on weapons and strategy." In 1909, he published a translation of Commander Vladimir Semenoff's Rasplata (The Reckoning), a memoir of the Russo-Japanese War of 1904-5, and witnessed the first crossing of the English Channel by air by Louis Bl�riot. He was appointed as commander of the newly constituted Third and Fourth Divisions of the Home Fleet two years later. The years immediately preceding this appointment were marred by disagreements between Admirals Sir John Fisher and Lord Charles Beresford over the direction of the navy and the imposition of reforms. Louis largely supported Fisher's modernising efforts, although he disapproved of his methods, and as a result Fisher's opponents attempted to prevent Louis's promotions. Eventually, both Beresford and Fisher left active service but Fisher's reforms were retained. Fisher recommended Louis as First Sea Lord: "He is the most capable administrator in the Admiralty's list by a long way" but elements of the British press were against his appointment on the grounds that he was a German saying it was "a crime against our Empire to trust our secrets of National Defence to any alien-born official". In December 1911, Louis did return to the Admiralty but as Second rather than First Sea Lord. As Second Sea Lord, Louis pushed through improvements in working conditions for the ratings, and created an Admiralty War Staff that would prepare the navy's plans in case of war. 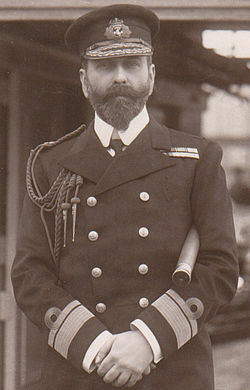 However, almost a year to the day later, on 8 December 1912, Battenberg assumed the post of First Sea Lord in succession to Admiral Sir Francis Bridgeman. Historians contend that Battenberg "lacked Fisher's dogmatism. Not the least of his attractions to Churchill [the First Lord] was his malleability. The combination of frequent change and weak appointees [Wilson, Bridgeman and Battenberg] ensured that the professional leadership of the Royal Navy lost its direction in the four years preceding the war. Power now lay with the service's civilian head... Winston Churchill". As First Sea Lord, Battenberg was responsible to the First Lord for the readiness of the fleet and the preparation of naval strategy, as well as the development of a scheme for state insurance of merchant vessels in times of war, which was to prove essential in preventing prohibitive insurance rates that would have stifled British trade. On the eve of World War I Churchill and Battenberg made the crucial decision to cancel the scheduled dispersal of the British fleet following practice manoeuvres in order to preserve the Royal Navy's battle readiness. "While Churchill planned to recall Fisher if war broke out, he missed the chance to prevent war that might have been provided by drafting him earlier. No Cabinet advised by Fisher would have made such a blundering, incompetent, disastrous response to the July  Crisis. The British trumpet gave a very uncertain note in July , allowing the Germans to delude themselves that Britain might be neutral... the contrast in habits between the energy and enthusiasm of the young First Lord and the lackadaisical habits of the First Sea Lord Prince Louis of Battenberg made Fisher's recall all but inevitable." Upon the outbreak of war, gout began to cause Battenberg considerable pain, and the naval staff he had set up did not function as well as it ought to have done. Anti-German sentiment rose among the British public, in newspapers, and in elite gentlemen's clubs, where resentment was inflamed by Admiral Lord Charles Beresford despite Churchill's remonstrances. Driven by public opinion, Churchill asked Prince Louis to resign as First Sea Lord on 27 October 1914. When acceptance of Battenberg's resignation was delayed by the King's opposition to Lord Fisher becoming First Sea Lord, Louis wrote to Churchill, "I beg of you to release me. I am on the verge of breaking down & I cannot use my brain for anything..." On 13 November he wrote to Churchill's Naval Secretary, Rear-Admiral Horace Hood, "It was an awful wrench, but I had no choice from the moment it was made clear to me that the Government did not feel themselves strong enough to support me by some public pronouncement". His resignation was announced amidst an outpouring of appreciation from politicians and his naval comrades. Battenberg had written to Churchill on 28 October, "What I shd value above all else is to be admitted to the Privy Council." The King later swore Louis in as a Privy Councillor in a public show of support. Labour party politician and trade union leader, J. H. Thomas wrote to The Times: "I desire to express my extreme regret at the announcement that Prince Louis of Battenberg has, by his resignation, pandered to the most mean and contemptible slander I have ever known … I was simply astounded to hear the base suggestions and rumours current, and I am afraid that his action will simply be looked upon as a triumph for the mean and miserable section of people, who, at a time of national trial, is ever ready to pass a foul lie from lip to lip without a tittle of evidence." Admiral of the Fleet John Hay thought that the "ingeniously propagated lies" originated from Germany. Prince Louis held no official post for the remainder of the war and lived in retirement at Kent House on the Isle of Wight. He occupied his time in writing a comprehensive encyclopedia on Naval Medals published in three large volumes, which became the standard reference work on the subject. His naval career had been characterised by industry, invention and intellect; he introduced mechanical calculators to compute navigations and a cone signalling apparatus. Although assured that he would be returned to command post-war, on 9 December 1918 the First Sea Lord, Admiral Sir Rosslyn Wemyss, wrote to Prince Louis informing him that he would not be employed again and suggested that he might retire in order to facilitate the promotion of younger officers. Prince Louis agreed, and he officially retired on 1 January 1919 "at [his] own request", shortly before reaching the mandatory retirement age of 65. 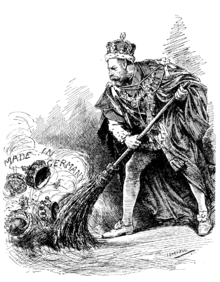 During the war, persistent rumours that the British Royal Family must be pro-German, given their dynastic origins and many German relatives, prompted the King to abandon his subsidiary German dynastic titles and adopt an English surname. At the behest of the King, Louis relinquished the title Prince of Battenberg in the Grand Duchy of Hesse, and also the style of Serene Highness, on 14 July 1917. At the same time, Louis anglicised his family name, changing it from "Battenberg" to "Mountbatten," having considered but rejected "Battenhill" as an alternative. On 7 November, the King created him Marquess of Milford Haven, Earl of Medina, and Viscount Alderney in the peerage of the United Kingdom. The King's British relatives in the Teck, Schleswig-Holstein and Gleichen families underwent similar changes. Louis's wife ceased to use her own title of Princess of Hesse and became known as the Marchioness of Milford Haven. His three younger children ceased to use their princely titles and assumed courtesy titles as children of a British marquess; his eldest daughter, Princess Alice, had married into the Greek Royal Family in 1903, and never had occasion to use the surname Mountbatten. However, her only son, Prince Philip of Greece and Denmark, adopted the name when he became a British subject in 1947. While the transition in names and titles was being effected, Louis spent some time at the home of his eldest son, George. After anglicising his surname to Mountbatten and becoming Marquess of Milford Haven, Louis wrote in his son's guestbook, "Arrived Prince Hyde, Departed Lord Jekyll". During the war, two of Lord Milford Haven's sisters-in-law (Alexandra of Hesse and Grand Duchess Elizabeth Fyodorovna) were killed by the Bolsheviks in Russia. Eventually, in January 1921, after a long and convoluted journey, the body of Grand Duchess Elizabeth Fyodorovna was interred in Jerusalem in the presence of Milford Haven and his wife. In 1919, the Milford Havens had to give up their home, Kent House, for financial reasons. He sold his collection of naval medals. All of his financial investments in Russia were seized by the Bolsheviks and his German property became valueless with the collapse of the mark. He sold Heiligenberg Castle, which he had inherited from his father, in 1920. Milford Haven was appointed Military Knight Grand Cross of the Order of the Bath (GCB), to add to the Civil one he already held, in recognition of his service to the Royal Navy in the 1921 New Year Honours, and was specially promoted by order-in-council to the rank of Admiral of the Fleet on the Retired List, dated 19 August. A few days later he joined HMS Repulse, the ship on which his son Louis was serving, for a week at the invitation of the captain Dudley Pound. It was his last voyage; he died at 42 Half Moon Street, Piccadilly, London in the annexe of the Naval & Military Club on 11 September 1921 of heart failure following influenza. After a funeral service at Westminster Abbey, his remains were buried at St. Mildred's Church, Whippingham on the Isle of Wight. The marquess's elder son, George Mountbatten, who had received the courtesy title Earl of Medina, succeeded him as 2nd Marquess of Milford Haven. Louis's younger son, styled Lord Louis Mountbatten after 1917, served in the Royal Navy, became First Sea Lord like his father, was the last Viceroy of India and was created Earl Mountbatten of Burma in 1947. 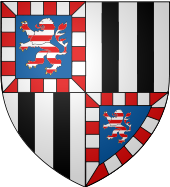 Picture - Arms of Prince Louis of Battenberg. ADM 196/38 Battenberg Service Record at The National Archives (fee payable for download).